Alibaba Group Holding Ltd. (NYSE: BABA) stock news has been pouring in as the historic Alibaba IPO draws closer. Tonight, company officials will announce the final Alibaba stock price, and we're looking at a range of $66 to $68 per share. 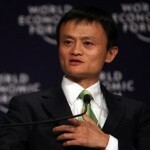 As we wait for BABA shares to hit the market, here are updates on all the Alibaba stock news stories we're following.